The pollen has slowed down, the grass is greening up, and flowers are blooming – spring is in the air. Time to head outside! 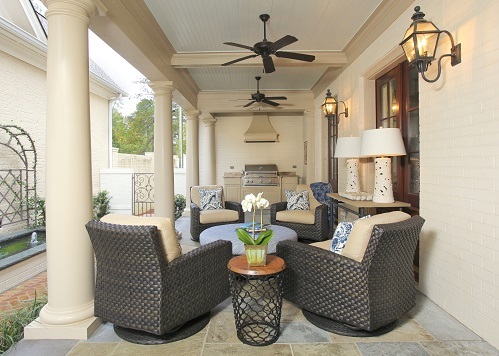 Outdoor spaces are becoming more and more popular these days. 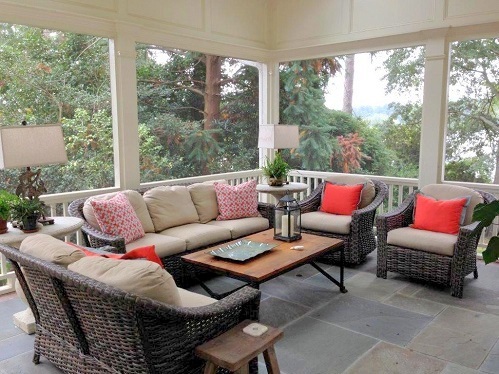 We are seeing more clients furnish decks, screened porches and patios with outdoor furniture and fabrics. 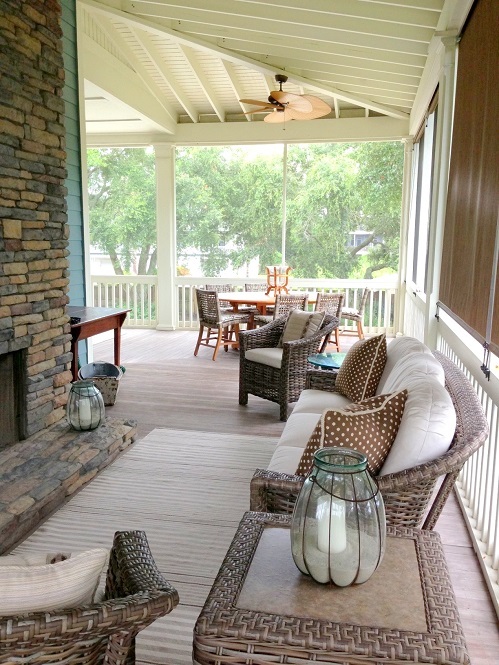 Outdoor rugs are are a great way to create a starting point for your outdoor room. 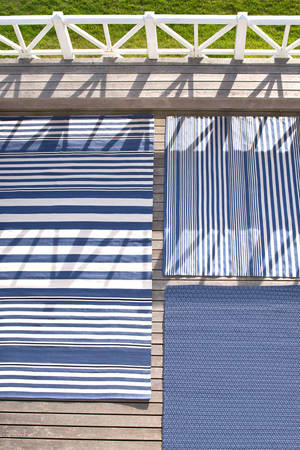 Outdoor rugs come in many colors and patterns. Below are a few of our more popular outdoor rugs. 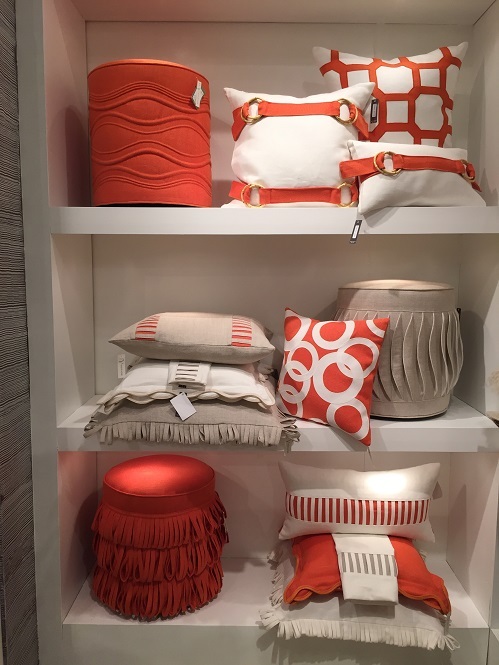 This linen showroom was really creative with the edgings on pillows and ottomans. The temperatures may be reaching record lows, but we are thinking ahead to warm and sunny weather! 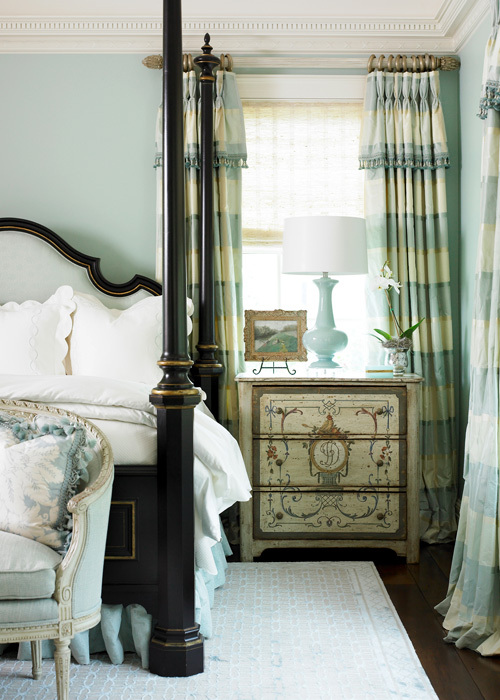 Here are some of our recent project photos to inspire you. 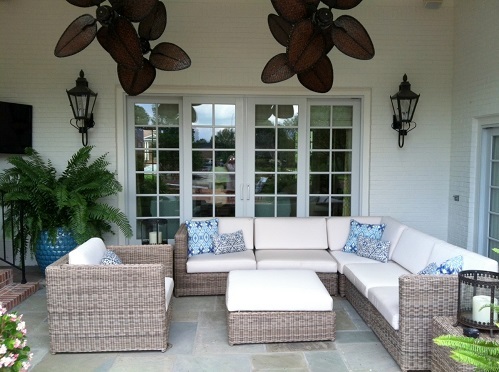 Let us help you get your outdoor spaces ready to enjoy this spring!